MinKwon Center offers a comprehensive range of free social and legal services related to immigrant rights, housing and tenant rights, and financial benefits. Providing all of our services in Korean and Chinese free of charge, MinKwon Center prioritizes limited English-proficient and low-income immigrants and seniors who often face difficulty applying for public resources and legal representation. MinKwon schedules 1-on-1 appointments and hosts clinics for community members looking to apply for naturalization; renew or adjust their Green Cards, DACA, DAPA and DACA-E; or seek legal advice on T-VISAs and other protected statuses. We are proud to be one of the few organizations in New York to provide free Korean translation and interpretation for all immigration applications and cases. Our attorneys have successfully halted deportation orders against community members, and we lead Know Your Rights workshops so our members can stay safe if they are approached by Immigrations and Customs Enforcement (ICE) agents. MinKwon assists tenants with housing grievances (i.e. rent overcharge, security deposit disputes, undone or insufficient repairs, heat and water issues, noise, harassment and succession rights violations) in filing complaints and calls for mediation to their landlords. For tenants facing eviction or whose grievances remain unresolved, our housing attorney can provide free legal representation at housing court. We also assist eligible tenants in applying for Senior Citizen Rent Increase Exemption (SCRIE) and Disabled Citizen Rent Increase Exemption (DRIE), and we lead community workshops on tenant rights, housing discrimination, and gentrification. As a Single Stop USA site, MinKwon performs screenings for community members’ eligibility for SNAP (Food Stamps) and HEAP (Heat and Energy Assistance Program). We also offer an annual comprehensive tax education and free income tax filing program for over 400 low-income immigrant households. 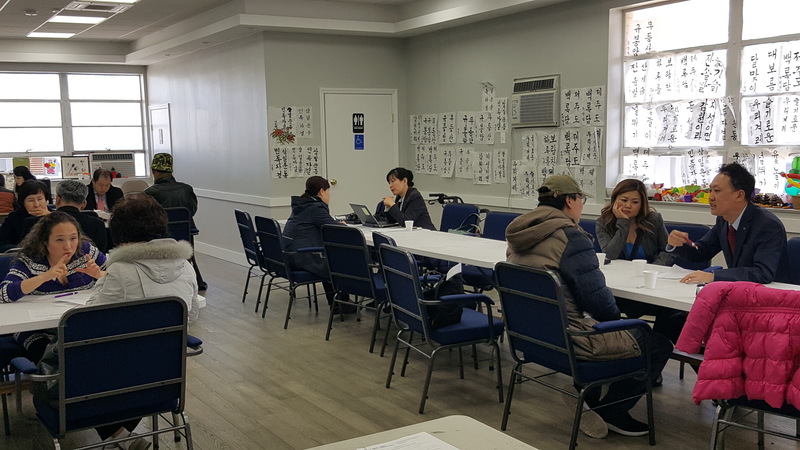 We host financial literacy workshops and seminars for Korean and Chinese immigrants in developing economic stability and mobility for their families.